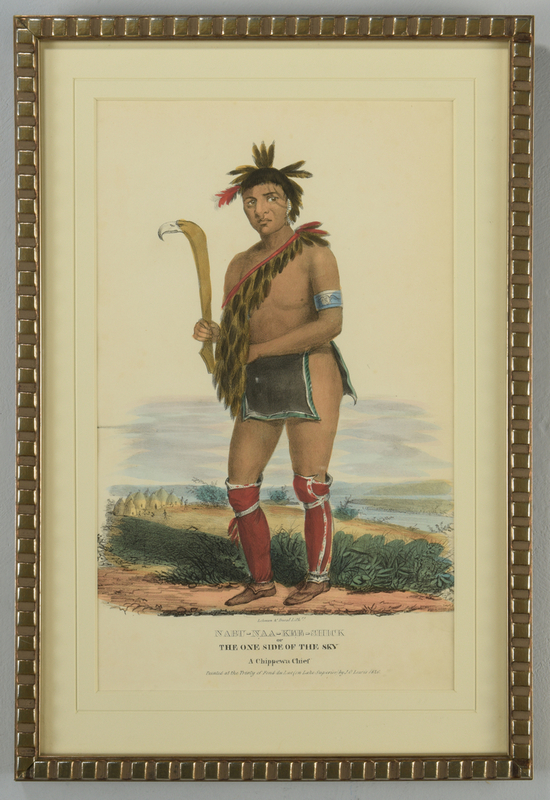 2 19th century lithographs including Native American related. 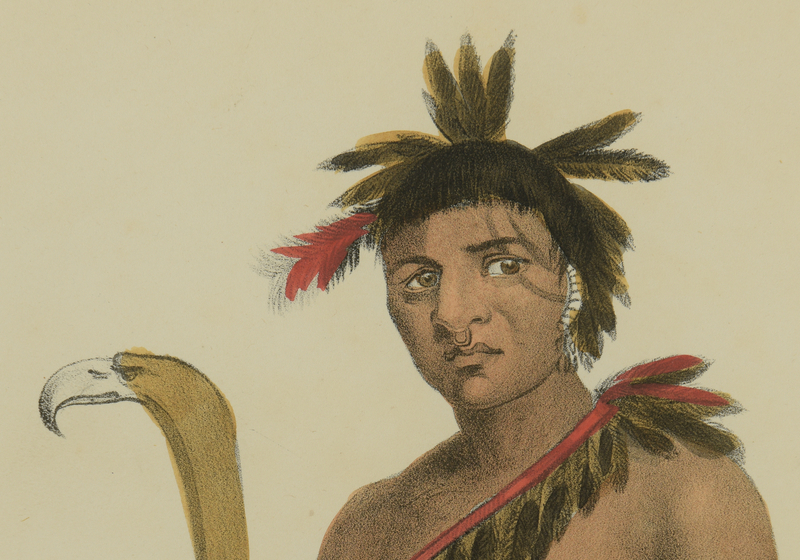 1st item: George Lehman and Peter S. Duval (Philadelphia, active 1834-1837) hand-colored lithograph titled "Nabu-Naa-Kee-Shick or The One Side of the Sky, A Chippewa Chief", after James Otto Lewis, 1835. From "The Aboriginal Portfolio", drawn and published by J. O. Lewis, Philadelphia. 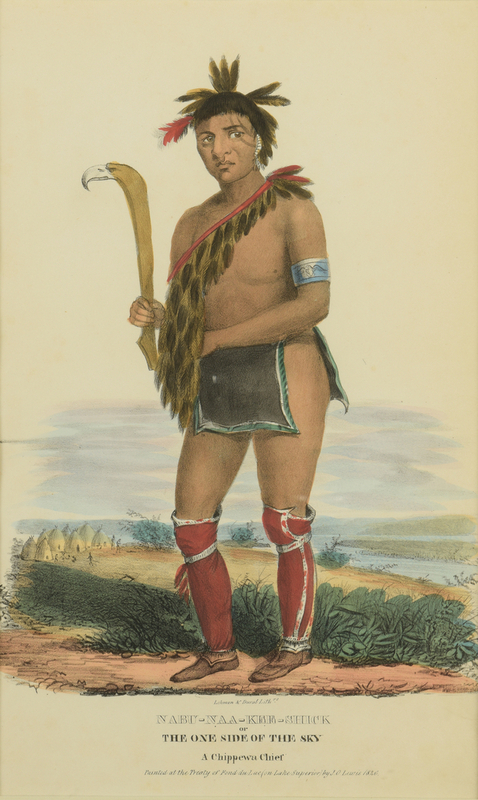 Depicts the Chief wearing the traditional breechclout and knee length leggings of a Chippewa male, holding a staff with a bird's head against a landscape with a village, left background. 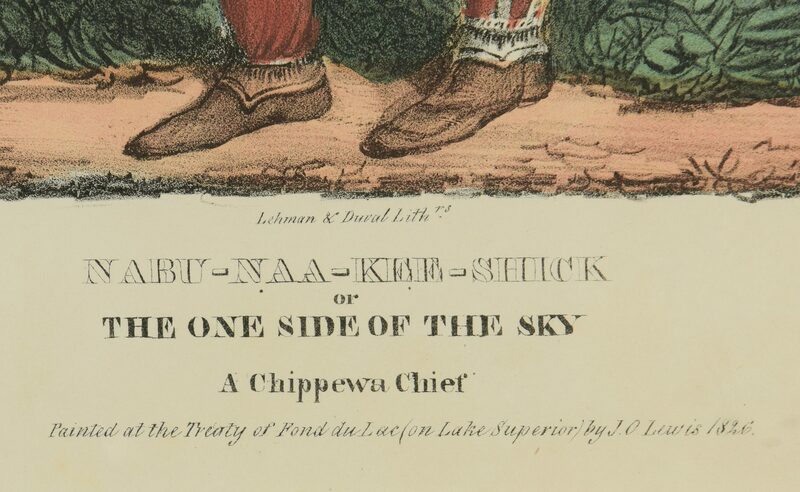 Text reads "Painted at the Treaty of Fond du Lac (on Lake Superior) by J. O. Lewis 1826", centered under title. Housed in contemporary gilt wooden frame. 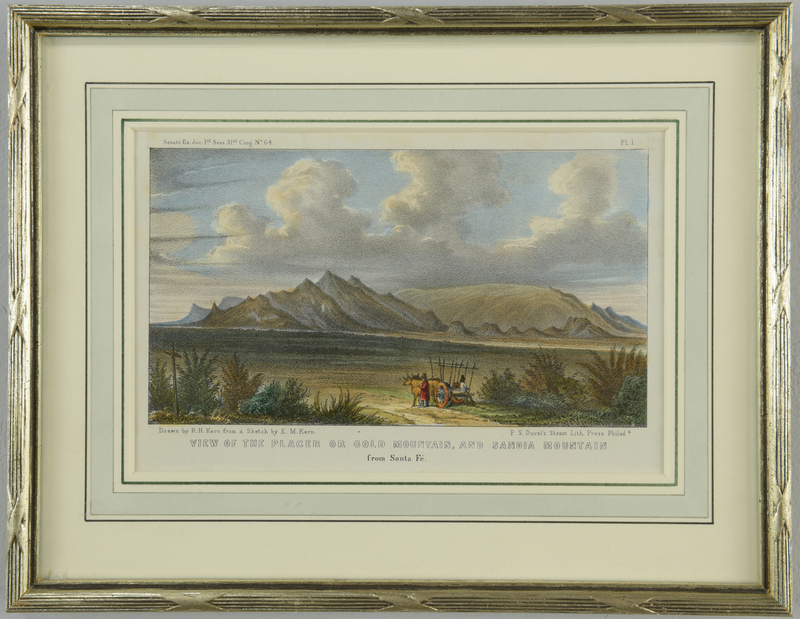 Sight – 14 3/8" H x 8 3/4" W. Framed – 18 5/8" H x 12 3/4" W. American, mid 19th century. 2nd item: Peter S. Duval (French/American, 1804/5-1886) hand-colored lithograph titled "Plate 1. 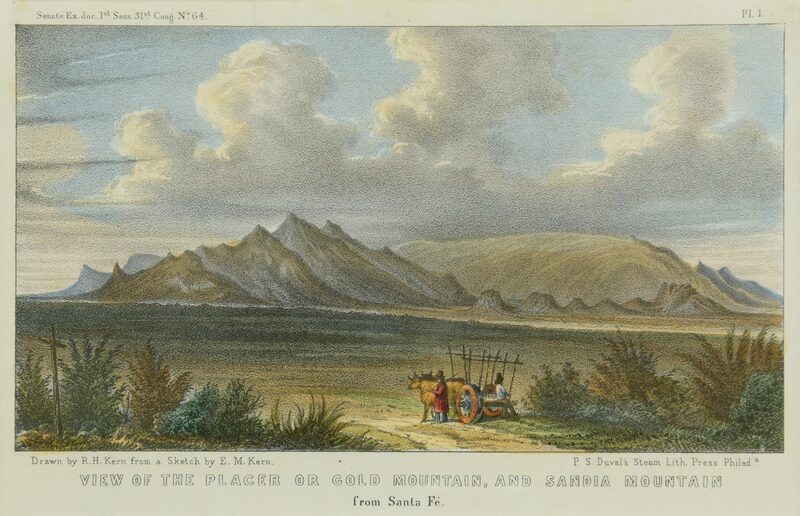 View of the Placer or Gold Mountain, and Sandia Mountain from Santa Fe", drawn by R. H. Kern from a sketch by E. M. Kern, circa 1850. From a Government Study, Senate Ex. doc. 1st Sess. 31st Congr. No. 64, printed by P. S. Duval's Steam Lith. Press, Philadelphia. 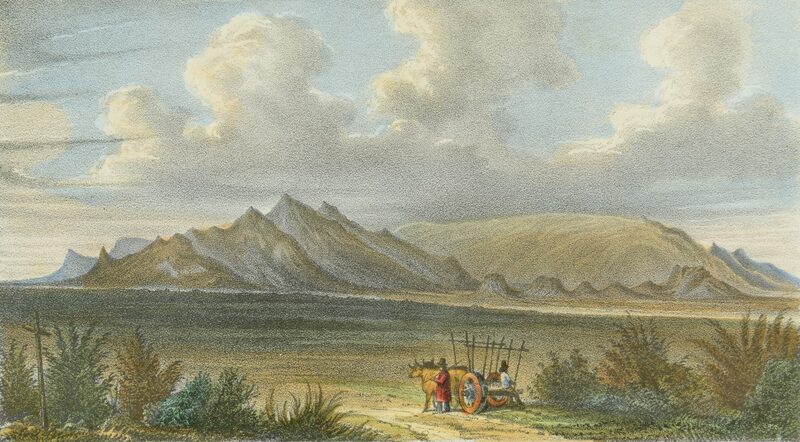 Depicts an oxen cart with two travelers amongst shrubbery, foreground, before a desert landscape, middle ground, against the aforementioned mountains, background. Housed in a contemporary silver wooden frame. 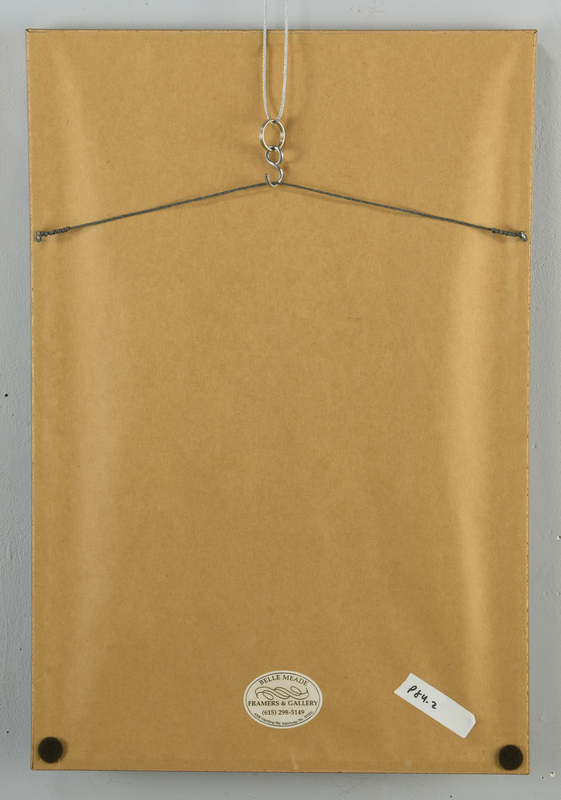 Sight – 4 7/8" H x 7 5/8" W. Framed – 8 3/4" H x 11 1/8" W. American, mid 19th century. Provenance: Collection of Charles and Ann Wells, Nashville, Tennessee. CONDITION: Both items: Overall excellent condition. Not examined out of frame.